In unrelated news, what do you think of this picture of Touga and Saionji??? D: How did I not make this connection before?? Even down to the ridiculous juvenile behavior and hairstyles!!!?? 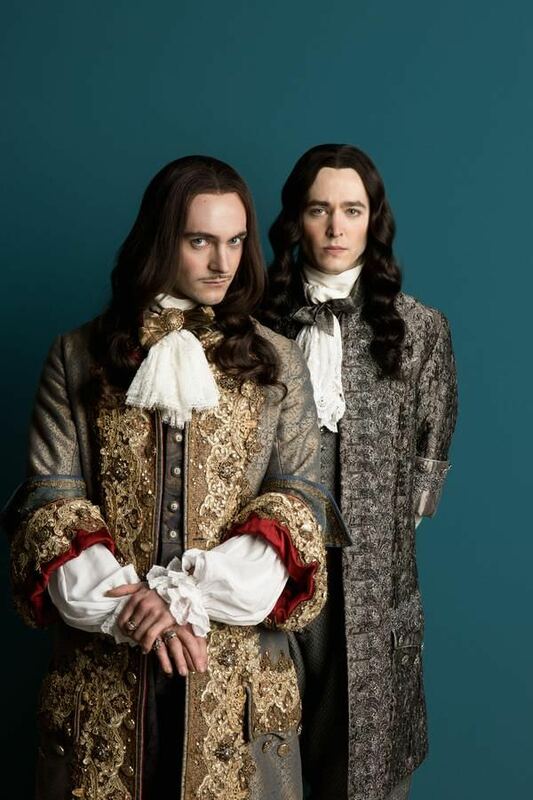 I am currently filling the hole in my heart by binge-watching Versailles. Next on my list will likely be American Gods - didn't know there was some Hannibal cast in there! Versailles is on my list of things to watch. American Gods has a lot of alums from previous Bryan Fuller projects. (BTW, he and the other showrunner are leaving to do other stuff, but Neil Gaiman may step in.) The most obvious one for me is Kristen Chenoweth from Pushing Daisies. Finished Versailles, enjoyed the series, it had a good ending also, I've heard a season 3 is possible, which would certainly be nice! I'm watching 'Land of the Lustrous' (Houseki no Kuni) which is a really weird anime made by people I can only assume are fans of Steven Universe because sentient space rocks that look like pretty girls that can shatter under impact, and also are immortal???? The anime is done in this hybrid CGI/animation style which sometimes looks really great and other times has that creepy lifeless rubber-doll look (this Sailor Moon Crystal season 1 henshin scenes). As a stylistic choice I do actually see its necessity, with it they are able to make the characters actually look like sentient gems, they have a very inhuman look to them. Plus, with your average anime budget there's no way they could animated the Lunarians using traditional animation, and they look pretty frikkin cool. The series starts off fairly low key and uninteresting but starts challenging what you think is going to happen next pretty quickly.